The Delaware Public Service Commission has approved new Electric Supplier Rules for final publication in the April 1, 2017 edition of the Delaware Register. The rules will become effective April 11, 2017. The new rules replace Delaware’s existing Electric Supplier Rules and introduce numerous provisions that affect virtually everything that retail suppliers do – including not only obtaining a license but also marketing electricity and enrolling new customers. In fashioning the new rules, the stakeholders looked primarily to Maryland’s and Pennsylvania’s recently-revised rules, and then tailored them to Delaware. Retail suppliers will be required to make additional upfront disclosures in marketing and contract documents, and provide specific training for their agents. The rules directly address telemarketing and door-to-door sales and add requirements that do not exist today. As an example, for door-to-door sales, a supplier will be required to obtain a wet or electronic signature and also to perform a third-party verification. The rules also have a new definition and requirements for third-party verifications. Our firm was very involved in negotiating the new rules and arguing non-consensus items before the Commission. If you’re a retail supplier eyeing Delaware as a new service territory, or if you’re already serving in Delaware, please feel free to call our energy lawyers with any questions. In September, 2016, the Maryland Public Service Commission issued a Notice of Public Conference (Notice), initiating a “targeted” review of Maryland’s electric distribution systems to ensure that they are customer-centered, affordable, reliable and environmentally sustainable. The proceeding builds on recent technical conferences involving barriers to the development of distributed energy resources and electric vehicles, and also piggy-backs on a condition in the May 2015 approval of the merger of Exelon and Pepco Holdings, Inc. (PHI), which required PHI to file a plan for transforming its distribution system and fund up to $500,000 to retain a consultant to the Commission on the matter. Suggestions for the timeline and format of the public conference. By late October, more than 50 stakeholders had filed comments, including our clients, IGS Energy and Just Energy, and the Commission set a hearing for December 8-9, 2016. We will continue to monitor and blog about this proceeding so check back right here. Meanwhile, if you have questions about these proceedings or issues of retail electric competition in Maryland or the mid-Atlantic, call any of our utility regulation lawyers.. The proposed regulations for Maryland’s Community Solar Pilot Program were published in the Maryland Register on April 29, 2016. Here is a link to the Community Solar Pilot Program rules as published. 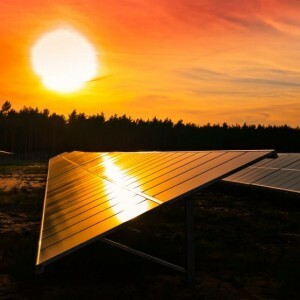 Under the proposed rules, customers that subscribe to a community solar energy generating system will receive full retail rate credit for their subscription up to break-even (i.e. the point where their subscribed generation matches their usage). However, credit for subscribed generation exceeding a customer’s actual usage will be limited to the supply price (transmission and distribution excluded). 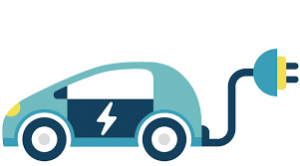 The proposed program structure includes: (1) an overall cap of 1.5 percent of 2015 Maryland peak demand; (2) annual capacity caps for each of the three years of the program; (3) a per-utility cap of 1.5 percent of 2015 Maryland peak demand; (4) capacity allocations to “small,” “open,” and “Low and Moderate Income (LMI)” categories; and (5) a limit of 350 accounts per community solar energy generating system. Comments on the proposed rules are due to the Maryland Public Service Commission by May 30, 2016. 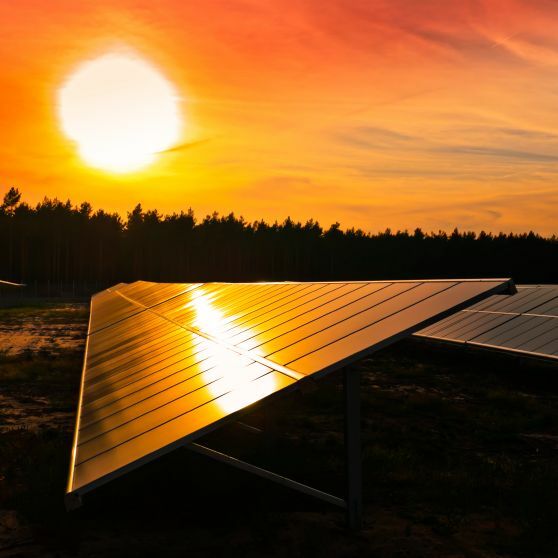 For more information about Maryland Community Solar Pilot Program, please contact one of GreeneHurlocker’s energy attorneys. On February 10, 2016, the Maryland Public Service Commission approved revised consumer protection regulations governing the retail sale of electricity and natural gas. The revised rules include several substantive changes relating to how retail suppliers operate in Maryland. The changes involve additional up-front pricing disclosures to customers, and additional notices throughout each customers’ contract term. One of the more significant operational changes is a new requirement that utilities process a customer’s request to switch electricity providers within three business days. The revised Rules also include entire new sections addressing retail suppliers’ relationships with their marketing and sales agents. We have previously blogged here, here, and here at various stages of this two-year rulemaking. In sum, the Commission initiated this rulemaking in response to the extreme cold weather conditions in the beginning of 2014 that caused wholesale energy prices to spike dramatically. Generally speaking, customers who had signed up for monthly variable retail priced contracts, which are tied to wholesale prices, saw their retail rates increase considerably. 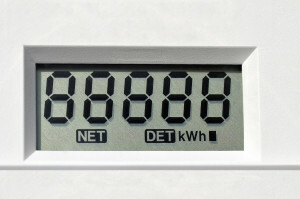 The primary policy goals of the revised rules is to assist customers in better understanding the energy products they are considering, to require certain notices to customers during their contract term, and to afford customers the opportunity and flexibility to change their energy provider quickly to take advantage of pending offers. The next step for implementation will be publication of the final rules in the Maryland Register. While the timing of the publication is uncertain, it is anticipated that the rules will become effective at some point in March 2016. Retail suppliers will need to review their contract language, third-party verification scripts, training materials, and other areas to ensure they are complying with the new rules. Retail suppliers that are unable to comply with any of the new requirements will need to seek a waiver from the Commission. If you have any questions about Maryland’s new retail energy supplier rules or the process for seeking a waiver, please contact one of GreeneHurlocker’s energy lawyers for more information. In early October, 2015, the Maryland Public Service Commission approved for publication in the Maryland Register revised consumer protection rules applicable to the marketing and sale of electricity and natural gas by licensed retail suppliers. The Commission’s approval comes after more than a year of stakeholder working group meetings as well as legislative-style hearings that occurred in February, September, and October 2015. GreeneHurlocker’s lawyers have been involved in these proceedings since day one, and we have previously blogged about them here and here. Among the many new provisions, the revised Rules require utilities to process a customer’s request to switch electricity providers within three business days, and they require retail suppliers to make additional up-front pricing disclosures in the contracts they offer to prospective customers. The revised Rules also include entire new sections relating to retail suppliers’ relationships with their agents who solicit customers on their behalf. It is anticipated that the revised Rules will be published in the Maryland Register by the end of 2015 although there is no definite timetable. Once published, interested persons will have 30 days to submit comments to the Commission. After that, the Commission will hold a hearing to vote on whether the revised Rules should be approved and, if approved, they will appear in the Maryland Register as final. The Commission stated at its October 2015 meeting that the revised Rules will become effective once they are final, and any utility or retail supplier that cannot comply will be expected to seek a waiver from the Commission. Our firm is participating in these Maryland proceedings, representing the Retail Energy Supply Association. The Maryland Public Service Commission has set a June 16-17 hearing date to consider the publication of new consumer protection rules for electricity and natural gas retail suppliers. The new rules would impact several aspects of a supplier’s marketing and enrollment processes. In January 2015, the Commission Staff, the Office of People’s Counsel, and the Retail Energy Supply Association submitted extensive redlines of the proposed rules. The Commission held a hearing in February that was more of an educational hearing, and then new proposed rules were communicated to stakeholders last month. One of the biggest issues involves the impact of the new rules on a supplier’s ability to offer contracts where the price of the electricity or natural gas can change every month (“variable” contracts), and also contracts that automatically renew at the end of the initial term. The proposed rules would require advance notice of any price change and also customer approval, even if the customer had already consented to these terms when he or she initially enrolled. According to suppliers, the new rules would increase customer acquisition and retention costs and would discourage suppliers from doing business in Maryland. Consumer advocates take the position that these rules are necessary to protect customers from price increases about which they might be unaware. Another issue is the ability of a customer to quickly switch to another supplier or to his or her utility service. 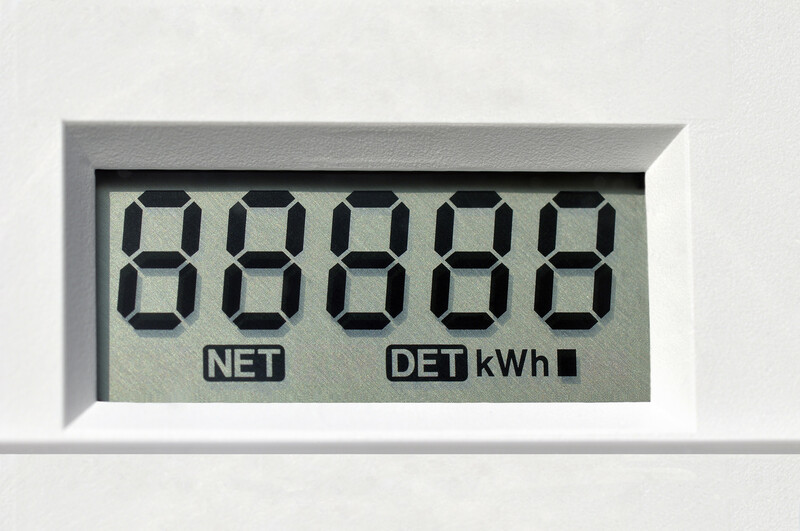 The new proposed rules would reduce that amount of time from 12 days before your next meter read to three business days from the date your switch request is submitted to the utility. The Commission, before setting the June 16-17 hearing date, indicated in a letter order that it wanted to see this “accelerated switching” go into effect. For more information on Maryland energy consumer protection law or retail electrical markets, please contact the electrical power regulatory lawyers at GreeneHurlocker. That’s a lot of letters just to tell you that Eric is now vice president of the Board of the Maryland – District of Columbia – Virginia Solar Energy Industries Association, as reported by association exec Dana Sleeper last week. Eric joined the MDV-SEIA Board of Directors last year and serves as general counsel to the association. His work includes identifying and tracking legislation in the Virginia General Assembly that may affect solar and other renewable power development. MDV-SEIA members design, sell, integrate, install, maintain and finance solar energy equipment for residential, commercial, and institutional customers throughout the region and the membership includes accountants, attorneys, builders, architects, electricians, plumbers, and consultants that support solar industries, according to the group. 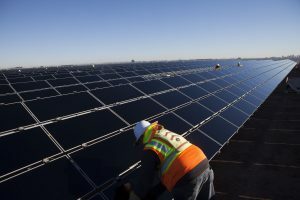 Solar has made tremendous strides in the Mid-Atlantic over the last few years and MDV-SEIA has led the policy changes that have created this market, reports its website.